Magic Lantern #27 Flood scene. Second Street. March 15, 1907. Note whiskey, G. W. Meredith find $5000 by U.S. Government for watering his liquor. Magic Lantern #28. 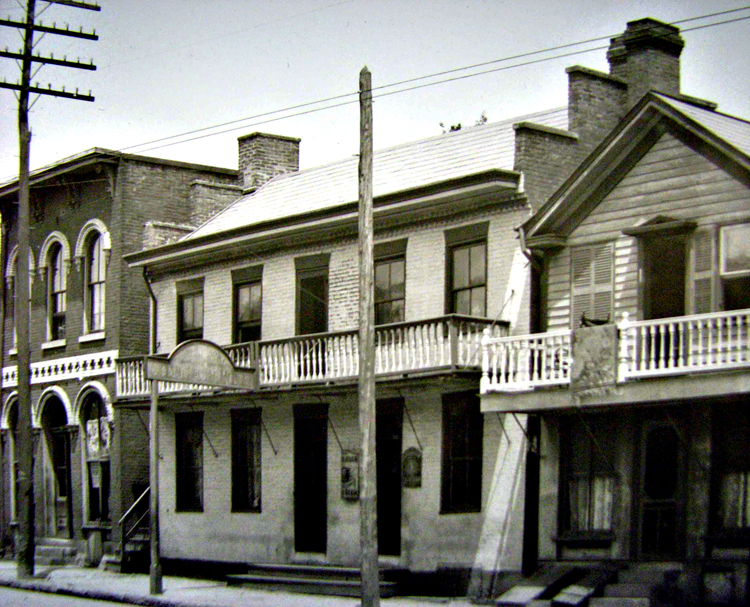 Second and Water Street. Note AL. G. Fields. Minstrel sign. Conant Building at and on left. Magic Lantern #31. missing from set. 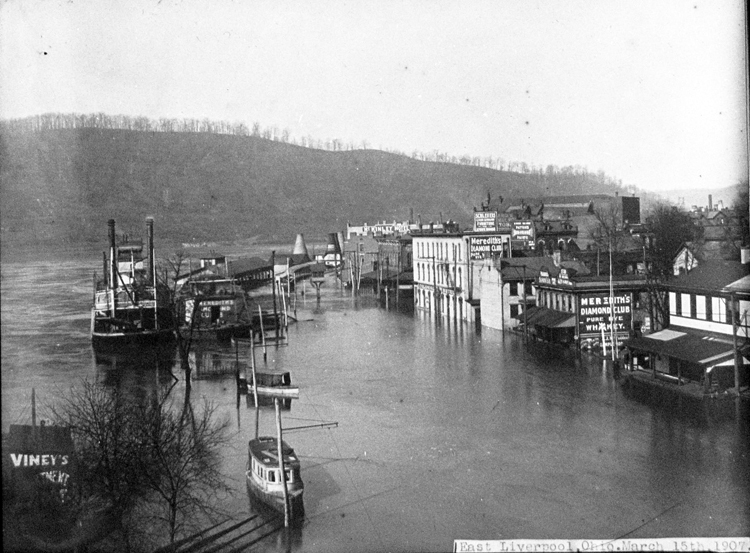 Magic Lantern #32 July 4, 1882 Picture of Scioto morning after its sinking below Mingo Junction. The final death toll was 57 or 58 – 20 from E.L.O. it is thought that whistle signals were confused and two boats came together. The excessive loss of life was due to cries of "fire" which caused people to leap into the water. Last living person this area died December 8, 1975 Mrs. Augusta K. Todd, Wellsville Ohio, age 100. Magic Lantern #33. Missing from set. Magic Lantern #34 Potters convention 1878. Magic Lantern #35. Potters convention 1903. Magic Lantern #37. Second Street The first hotel. Magic Lantern #38. The Manson pottery – formerly the hotel. Magic Lantern #42. 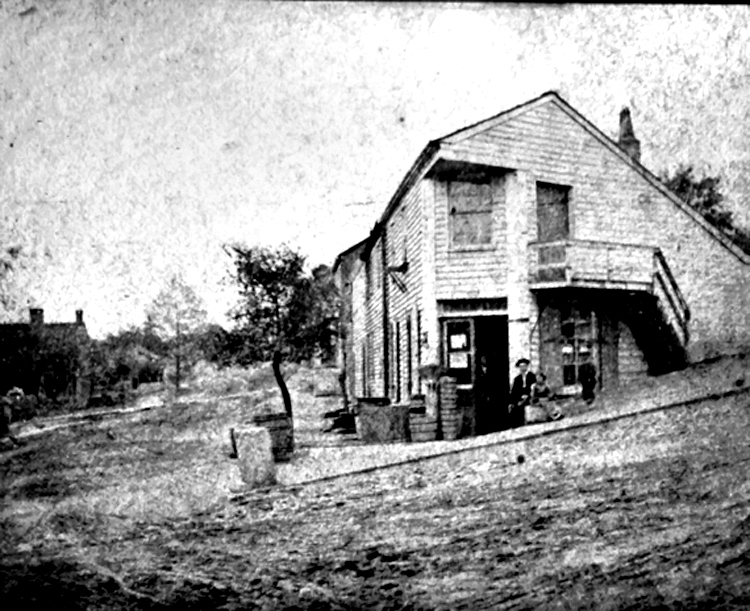 Josiah Thompson store. Now Thompson Hotel. Thompson children – ? and John. Si – Morrison – H.L. Simms (sitting on Dray) Oil Bill Thompson, John Hamm, Meriden Hill, Harry Gaston. Magic Lantern #46. 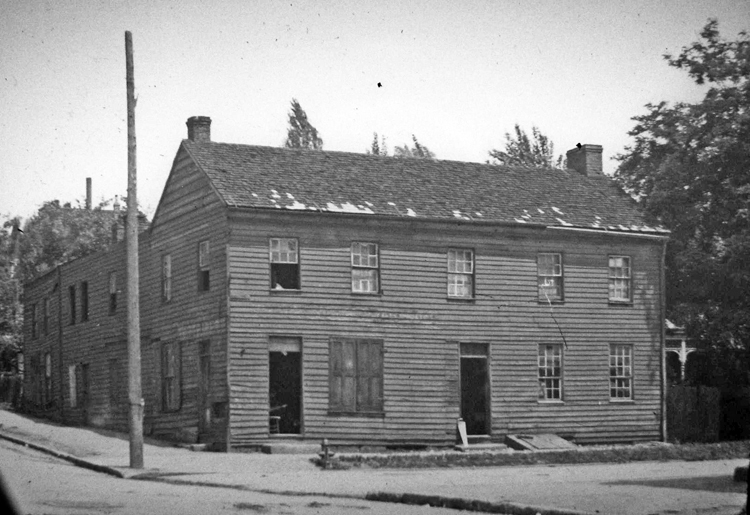 Bradshaw house on present site of library across from Central school. Magic Lantern #47. 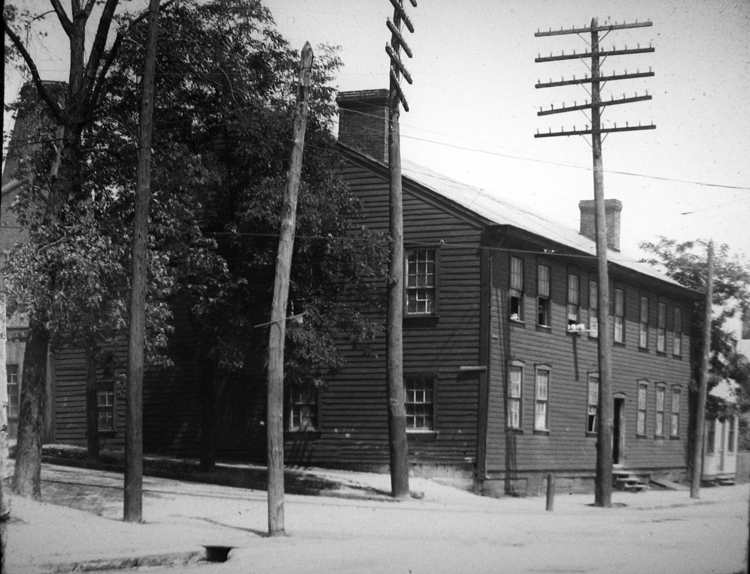 Bradshaw house on present site of library across from Central school. Magic Lantern #50. Entrance to #49.